Circular glass coffee table with a stunning four tiered design and Chrome pillar supports. Available from stock and delivered in 3-5 days. Toughed, frosted safety glass. 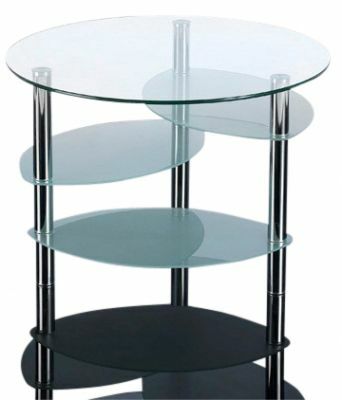 Intricate four tier design coffee table with toughened pglass pieces and a circular top. The table has strong tubular chrome legs. held in stock for a fast delivery of 3-5 working days.